Published as e-books in 2014, these editions are suitable for reading on tablets as well as PCs. Kindle Reader is recommended for the larger PDFs. Please contact admin here if you need a password to download the ebooks. 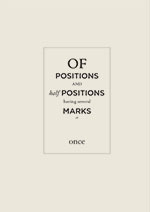 Based on a project in 2003 and re-presented as a website project in 2007, this unabridged edition was published as an e-book on the occasion of Liyen’s solo survey exhibition Dreams Circles Moons Fictions at Papakura Art Gallery in 2014. * See also A Humid Day Catalogue (2007), website post and link to the project. 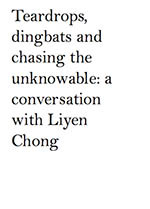 This was published to accompany A Humid Day E-book on the occasion of Liyen’s solo survey exhibition Dreams Circles Moons Fictions at Papakura Art Gallery in 2014. 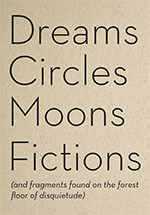 Published in conjunction with the exhibition Dreams Circles Moons Fictions and fragments found on the forest floor of disquietude held at Papakura Art Gallery in February 2014. For images click here. An introduction by Tracey Williams, and a catalogue essay by Dr. Cathy Tuato’o Ross. Published on the occasion of Chong’s solo exhibition at the Gus Fisher Gallery in Auckland in 2011, this catalogue features an essay by Victoria Wynne-Jones. Conceived as an artist’s book and catalogue, this book was published with funding from Creative New Zealand to accompany the solo exhibition ‘9’ at 64zero3 gallery in Christchurch in 2008. Features an essay by Kriselle Baker and text-based work by the artist. Please contact if you would like to purchase any hard copies of this book. Catalogue accompanying the A Humid Day website launch and exhibition curated by Kate Bretkelly Chalmers at the Gus Fisher Gallery in 2007. Click here for more information.